"You know, my motto is 'Excelsior.' That's an old word that means 'upward and onward to greater glory.' … Keep moving forward, and if it's time to go, it's time. Nothing lasts forever." It was with great sadness that I read that comic-book legend Stan Lee passed away on Monday 12 November, at the age of 95. As a huge Marvel fan, I grew up with a (not so mild) obsession with the X-Men, and Stan Lee’s passing came as a sad blow, despite his age. Stan inspired so many with his amazing sense of humour, and his relatable creations that pushed the boundaries and redefined pop-culture. Born Stanley Martin Lieber in 1922, Lee was a comic-book editor, publisher, and writer whose prolific career spanned more than seven decades. Starting his comics career in 1939, Lee’s big break came in 1950, when he was tasked with creating a new team of superheroes following DC comics revamping of the Flash. Enter Lee’s first creation - the Fantastic Four. The Fantastic Four were followed by many more immensely popular superheroes, like the incredible Hulk, the X-Men, Spider-Man, Thor, and Black Panther. Lee’s characters and writing revolutionised superhero comics, which were previously aimed at children and preteens, by diversifying characters and content. Despite having amazing superpowers, Lee’s characters are also undeniably human, with human flaws and vulnerabilities. If you’re looking for an entertaining read that gives some more insight into Stan Lee’s colourful life and career, I’d highly recommend flicking through Lee’s autobiography, Amazing Fantastic Incredible. Presented in graphic novel format, this book is as colourful as the author, and uses his trademark sense of humour to present key points in his life. Stan Lee’s contribution to pop-culture and graphic novels can’t be understated. As mentioned in his autobiography, he “put the human in superhuman” and is one of the most legendary names in graphic novel history. He will be greatly missed, but will never cease to inspire others to create. His legacy lives on in his creations, and in the hearts of his fans. 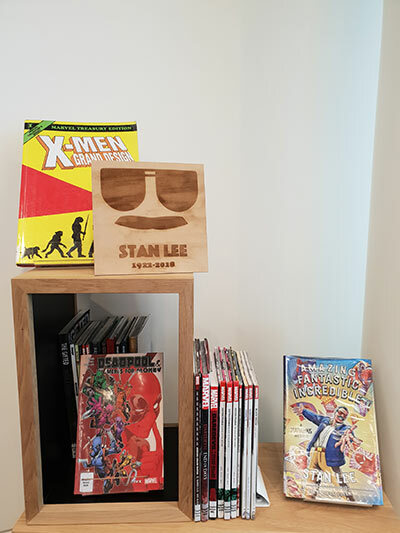 Christchurch City Libraries has a wide variety of works by Stan Lee and Marvel that make for amazing reads (and re-reads). A tribute to late comic book legend, Stan Lee. Here we have a small selection of works and characters he either created or co-created, as well as their accompanying films (which he often cameos in). One of Stan Lee's autobiographies, this book is a fantastic (incredible) way of learning some more about this artist's journey, from filling inkwells to becoming one of the most influential comic creators of our time. 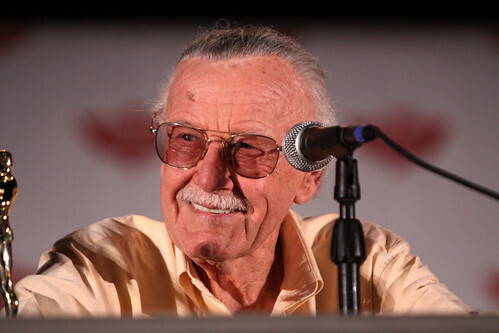 A list of Stan Lee creations is not complete without Spider-Man, who remains one of his most popular characters. Action-packed, relatable , and hilariously witty, Spider-Man is a definite must-read for Stan Lee fans. Stan Lee's Black Panther is another example of Lee's influence on comics, as T'Challa (the Black Panther) was the first superhero of colour to appear in mainstream comics. The comic's popularity has continued with Black Panther's appearance in Captain America: Civil War in 2016, and the 2018 Black Panther film. A particular favourite of mine, Stan Lee's X-Men showcases the diversity and humanization that Lee brought to superheroes. The colourful, creative and humanly flawed mutants have since featured in various books, TV series, and films since 1963. Thor is one of Stan Lee and Jack Kirby's non-human superheroes, inspired by the Norse god of thunder.